Mark Davies, Director of Products and Technology, TSL Products talks about NAB 2018. Q What new products/services has your company introduced since last year's’ NAB? 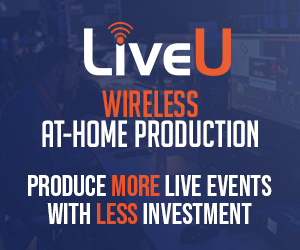 A We’re looking forward to showcasing expanded protocol support and enhanced user interface features for our audio range and broadcast control systems. The PAM1-IP and PAM2-IP precision audio monitors are now the only units of their kind capable of monitoring uncompressed video and audio streams delivered over SMPTE 2022-6 and essence-based SMPTE 2110. To support modern architectures, both the PAM1-IP and PAM2-IP and the TallyMan advanced broadcast control system have been updated with Ember+ support, while also remaining compliant with traditional broadcast standards. Our audio and control products provide operators with the most effective monitoring and control solutions for current and future industry requirements. A simplifying a broadcast workflow in transition. TSL Products recognizes that the transition from a traditional environment to IP will not be immediate, but that infrastructures will, for several years, be based on SDI and IP. By offering a wide range of practical solutions for now and tomorrow, we strive to help our customers continue to produce great content while we take care of the complexities of an industry in transition. A For over 30 years, TSL has worked actively to design, manufacture and market a range of broadcast workflow solutions that serve to simplify operations within the television broadcast, cable, satellite, IPTV and IT industries. We take pride in our ability to be progressive and fast acting when it comes to producing innovative, top-quality products that meet the needs of today’s broadcasters. A You can always feel the excitement present at NAB from anywhere on the show floor. Our goal is to stay ahead of the emerging challenges that surround the transition into IP, and it’s always rewarding to share these solutions with attendees and see their enthusiasm for the product updates we’ve developed. 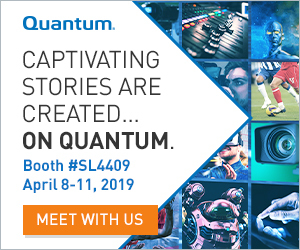 A As with every NAB show, we strive to introduce new, relevant products and software updates that demonstrate we’re continuing to address the complexities facing our industry. The IP showcase, at which I will be presenting, and our PAM-IP products will be on display alongside interoperable IP-ready kit will, I am sure, be of interest to many. We want to ensure that our customer’s investments are future-proof, while maintaining a familiar operational experience that will allow them to focus on producing exceptional content rather than the technical details of the underlying infrastructure. A Booth N5615 in the North Hall.